2005 is a fascinating vintage in Barbaresco for many reasons. First, and foremost is the simple fact that a generation ago 2005 would have likely been a lost vintage. Much has often been made of how technical advances have improved winemaking over the years. The 2005 Barbarescos are a perfect example of how today’s wines are far better and more consistent than those made in the past. The key event that defines the 2005 vintage in Piedmont is the week of rain that the region saw beginning in early October. Today’s weather forecasting tools and the rapid communication of information via the internet and other mediums gave growers the choice of harvesting before or after the rains, a choice they simply didn’t have 20 years ago. It is easy to forget that until the 1980s it was common for Piedmont to see two to three great vintages per decade, while the rest were average, at very best. Today it is the exact opposite. The decade spanning 1996-2005 has seen only one abysmal vintage (2002), one very freakish, torrid vintage (2003), while the rest of the years have given producers the conditions to make wines that range from outstanding to legendary. For lovers of Piedmont wines, it is clear we are in a Golden Age, as 2006 and 2007 are quite promising as well. 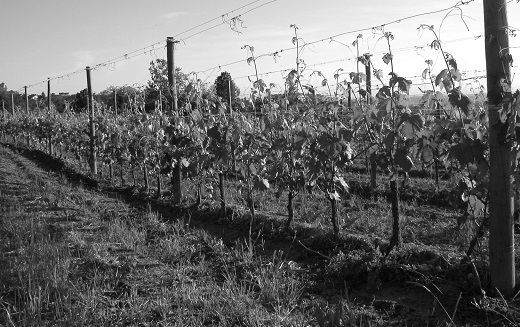 As we go to print in October 2008, conditions appear favorable for the Nebbiolo harvest this year, despite challenging conditions in the spring. But I am getting ahead of myself. In 2005 the vast majority of growers in Barbaresco picked in late September and thus avoided the rain. While few producers would openly admit to harvesting after the rains, the weather was less of an issue in Barbaresco, where Nebbiolo normally reaches full maturity a good ten days or so before it ripens in the towns of Barolo. Forecasts of inclement weather obligated producers to pick a few days earlier than normal in Barbaresco, but not significantly earlier, as was the case in some parts of the Barolo-producing zone. Based on my tastings of Barbarescos from bottle and Barolos from barrel, 2005 may very well turn out to be a stronger and more consistent vintage for Barbaresco largely because of the critical timing of the October rains. In terms of quality, 2005 is more accurately described as two vintages for Barbaresco. This is an illuminating vintage for measuring the seriousness of growers. As it turns out, at the high end the 2005s are quite beautiful, but they don’t reach the level of sheer explosiveness and profoundness of the 2004s. At the middle and lower ends, however, it is a different story. While there is no question 2004 was a superior vintage, it was also an abundant vintage, which required an extra amount of discipline from growers. Some producers, coming off the difficult 2002 and 2003 vintages, couldn’t resist the temptation of leaving a few extra bunches on the vines, and as a result their wines lack some depth, which is something I addressed in greater detail in Issues 173 and 174. In 2005 yields were closer to normal and ripening more consistent. For those reasons quite a few estates made better Barbarescos in 2005 than 2004, even if on paper that shouldn’t have been the case. I am not sure if leaving so much potential on the table in a stellar vintage like 2004 is such a good thing, but the facts are the facts and the simple reality is that as a whole producers in Barbaresco lag behind their colleagues in Barolo in terms of quality, experience and maturity. On the plus side, the 2005 Barbarescos as a whole have turned out quite beautifully. On average the wines have less alcohol and concentration than has been the case in recent top vintages, and also possess a touch higher acidity because the fruit was picked slightly early. The best wines possess notable harmony and fine overall balance. My sense is that this will be a relatively early maturing vintage in terms of the time it will take wines to develop fully, although the higher acidities suggest the wines may hold on in cold cellars for quite some time. In modern day terms these are slightly slender, fresh wines loaded with tons of Piedmontese character. Readers who have been buying these wines for many years are likely to find the somewhat compact, linear style quite classic because in some ways the wines recall the style that was common before the weather in Piedmont turned warmer beginning in the mid-1980s. Lastly, given the weakness in financial markets, a slowing global economy and a pipeline that is literally bursting with wine, 2005 is a great vintage for consumers to stock up on their favorite wines by being selective in terms of seeking the best bottles and waiting for what will inevitably be favorable prices at some point down the line, perhaps sooner rather than later. This year my work on the 7th edition of Parker’s Wine Buyer’s Guide forced me to divide my coverage of the 2004 Barolos. Issue 179 contains notes on a number of 2004 Barolos, including wines from traditionally-minded producers who tend to bottle later than is the norm these days. I remain very impressed with the 2004 Barolos. A number of factors contribute to quality in 2004. Among these is a more enlightened approach to the use of French oak, which has resulted in often breathtaking wines. Readers who want to learn more about this great vintage may want to check out my introductory comments in Issue 174. While on the subject of the Buyer’s Guide, I have re-written the Italy sections from scratch and the 7th edition contains in-depth descriptions of the country’s main regions as well as producer profiles on dozens of estates that have never been reviewed by our publication. Despite the rapid acceleration of prices for Piedmont’s most coveted wines, the region still boasts a wide range of value- priced wines. Readers may want to look at Issue 178 for some suggestions. While the 2007 Dolcettos and 2006 Barberas are obvious choices, particularly considering the merits of these strong vintages, plenty of other wines offer terrific quality for the money as well. I tasted a number of simply delicious 2006 Langhe Nebbiolos that are well worth considering. At their best, these wines deliver tons of varietal character, but without the imposing structure of Barolo or Barbaresco. Even better, these are great food wines. When it comes to Barolo and Barbaresco I also tasted a number of wines that offer considerable value in relative terms. To be sure, top Barolo and Barbaresco is never inexpensive, but there are plenty of wines that can be had for reasonable sums, especially when compared to the world’s other age-worthy wines of similar pedigree, of which there are but a handful. These are some of my favorite producers in Barolo and Barbaresco for fairly-priced wines that deliver notable quality for the money, listed in alphabetical order. As I mentioned in my introductory comments on the 2005 Barbarescos, this is a buyer’s market. Savvy consumers with an eye towards the future should take advantage of the great deals that are entering the marketplace on an almost daily basis. While the uncertainty in the economy is unsettling, and in no way do I intend to make light of the situation, consumers will rarely be presented with a golden opportunity of this magnitude to acquire terrific, age-worthy wines for what are bargain-basement prices in today’s context of pricing levels.